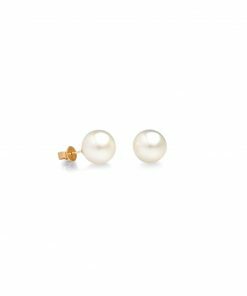 Beautiful South Sea Pearl earrings with a unique hammered 9ct yellow gold drop stud design. 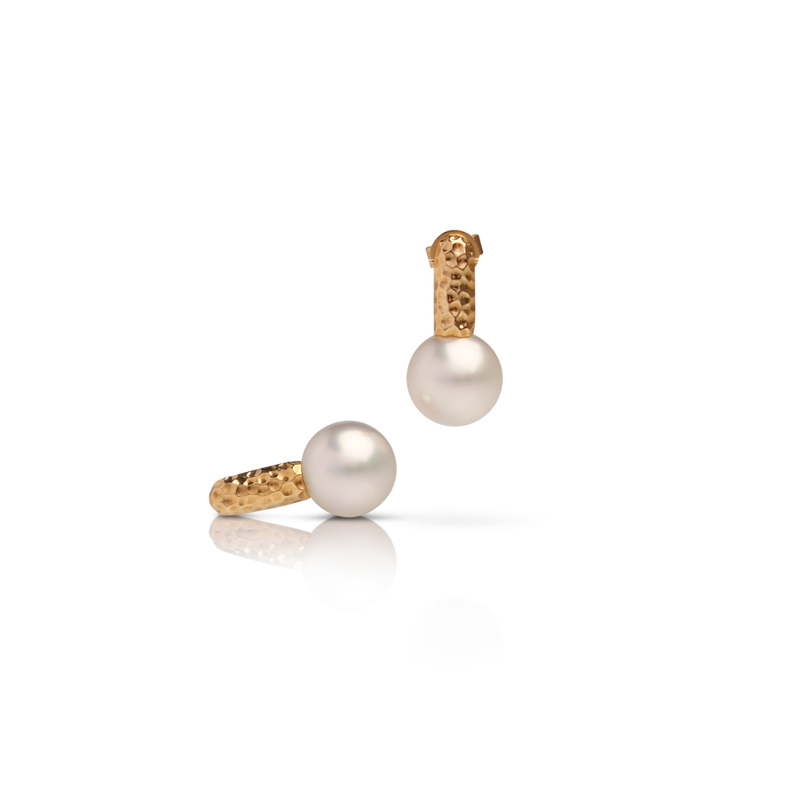 The impressions in the gold reflect the light, enhancing the natural beauty and lustre of the pearl. 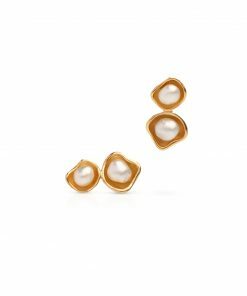 The Impressions collection has been exclusively designed for Cygnet Bay Pearls, showcasing the warmth of the sun as the beams of light hit the water. The instantaneous reflection from the glassy surface as the water swirls beneath, creating sparkling rays of light, that glare off into the blue sky. 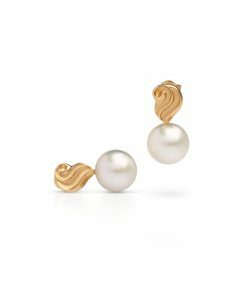 The currents below the surface, create a mosaic of dancing light and leave lasting Impressions.